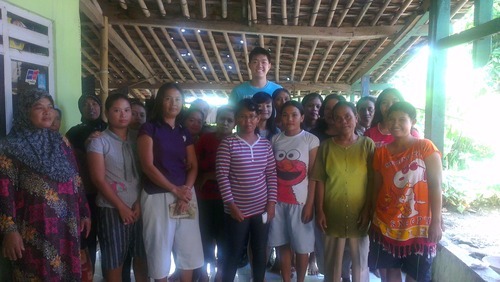 Bankers without Borders® volunteer, Calvin Liou deferred his dream so that he could volunteer at a women's microfinance bank in Banda Aceh. When he graduated with his master’s degree in Accounting Science, Calvin Liou seemed set to launch his career in investment banking and finance. He had carefully laid the foundation through summer internships and temporary employment with various prestigious investment banks. And now, Goldman Sachs had offered him a position in Hong Kong. Fortunately for Grameen Foundation, Calvin had other plans. Calvin began volunteering with Grameen Foundation during his final semester of school in January 2012, translating documents from Chinese to English. When that project ended, he learned about a new opportunity to work with the foundation’s Capital Management and Advisory Center team in Indonesia. Not wanting to miss this chance for hands-on microfinance experience, Calvin decided to pursue a “gap year” with Grameen Foundation. Fluent in Mandarin, with a background in finance, Calvin quickly became an invaluable resource to Grameen Foundation’s Asia-based staff. He worked with several microfinance institutions and other organizations that serve mostly women.